This ruined fortress was the stronghold for a persecuted medieval leader and his infamous Assassins. 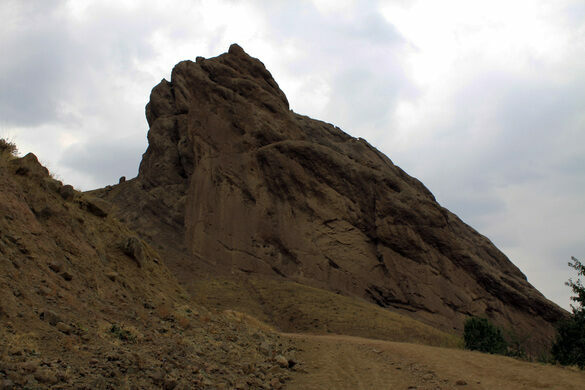 Alamut Castle was originally built in the ninth century at an elevation over 6,800 feet. It was constructed in such a way that it only had one passable entrance that wound its way around the cliff, making the fortress difficult to conquer. But in 1090 A.D., a man named Hassan-i Sabbah was able to do just that. Hassan was an Ismaili Shia, which was a sect of Islam that faced heavy persecution from the region’s ruling leader. He rallied supporters as he hid within the valleys of Alamut. Eventually, he and his followers were able to concoct a plan that let them take over the fortress without spilling a single drop of blood (Hassan supposedly even paid the ousted ruler for the site). The fortress became a stronghold for him and his followers, who came to be referred to as his Assassins. They updated the castle’s irrigation and strengthened its defenses. And, perhaps most notably, they built an exquisite library full of literature about astronomy, math, philosophy, and even alchemy. Hassan created his own state, using the other fortresses scattered throughout the remote mountains and valleys as bases. He and his followers did more than just strengthen their strategic hideouts: They were also accomplished killers. The Assassins used their skills against the rulers of the Seljuk Empire who had been persecuting their sect. However, they also turned their attention beyond northern Iran and faced foreign enemies such as Crusaders. They were meticulous in killing the targeted individual, attempting to do so without any additional casualties. They cultivated their reputation by slaying victims in public, often in mosques. Their weapon of choice is said to have been a dagger. Mongolian invaders conquered the castle in the 13th century. They demolished the fortress and burned most of the rare contents that had been safeguarded in its library. But the stories of the Assassin’s fortress still live on. The most prominent historical fallacy was spread by Marco Polo in his stories about an “Old Man of the Mountains.” According to his accounts, devotees were drugged to simulate dying and then left to awaken in a secret garden where wine flowed and feasts were served by virgins. When they later awoke, there they were informed that if they wished to return to the paradise they had enjoyed, it would be at Hassan’s discretion and that they must therefore follow his orders directly. 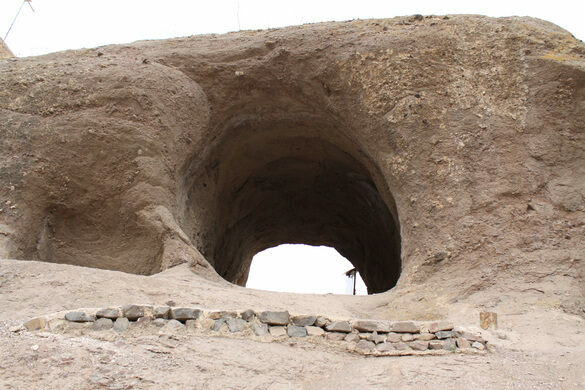 The site is a spectacular and sometimes hair-raising four hour’s drive through the mountains from Qazvin and located near the village of Gazorkhan. The walk up to Alamut is quite hard, but the views from the fortress are quite something. Archaeologists have restored the castle and there are explanatory signs in both English and Farsi. This circular Iranian jail was once a political prison run by the country's secret police. Two Chinese dragons guard the caves of this medieval temple in Iran. In this tiny Iranian town playing on the roof isn't just encouraged, it's the only place to go. One of the largest and oldest caravansaries in Persia. This Norman castle has been the scene of assassination plots, religious persecution, and Nazi conspiracies throughout its long history.